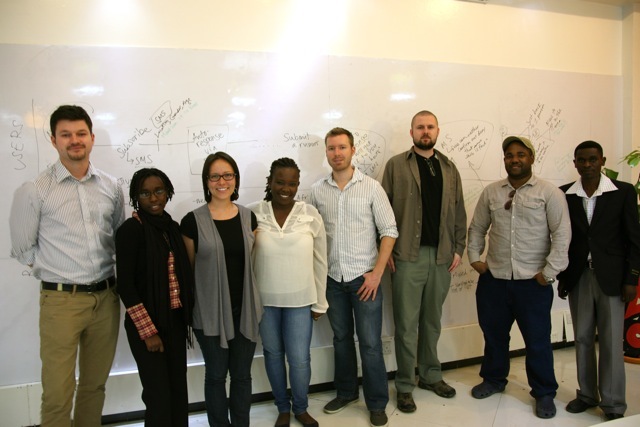 This morning Canadian members of the Sentinel Project met with our new Kenyan staff members for a day-long orientation facilitated by our partners at iHub Research in Nairobi. 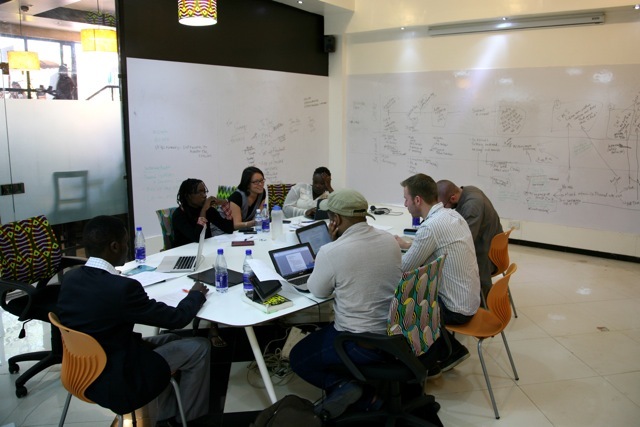 iHub Research is a leader in technology research not only in Kenya but also all across Africa and will serve as the home institution for Una Hakika. This was the first time that most of our Canadian and Kenyan staff had met one another in person and, after brief introductions from each team member, we began an overview discussion on the situation in the Tana Delta Area. Sentinel Project Executive Director Christopher Tuckwood explained that the conflict between the Orma and Pokomo ethnic groups in the Tana Delta has often been reduced in the media to a simplistic narrative about Pokomo farmers versus Orma pastoralists, with many observers maintaining that differences in traditional livelihoods are the root cause of antagonism between the two tribes. However, the hostility between the groups is much more nuanced than this and both groups often feel that they are the victims. When it comes to the question of establishing peace, “each side wants to put forth their best image. Both sides say that they strive for peace, but often remain on edge, with tensions just below the surface. Reading between the lines, it becomes clear that not everyone is the pacifist they claim to be,” Chris said. Distrust between the Orma and Pokomo is often expressed in the form of misleading rumours. Extreme examples include Pokomos claiming to know for a fact that an outside entity has given the Orma people 3,000 AK-47s with which to destroy the Pokomo community. Another malicious rumour holds that a Pokomo health worker has been caught replacing vaccinations to be given to Orma children with poison. It is exactly this type of misinformation that Una Hakika will monitor and counter. Our group then spent time creating a detailed map for each part of the Una Hakika system, through which Tana Delta residents can report noxious rumours using their mobile phones. We can then verify the truth of such reports and take the necessary precautions to prevent such misinformation from leading to violence. “Our measures of success will be small and gradual, but any change in the right direction is what we are looking for,” stated Drew Boyd, the Sentinel Project’s team lead for the Kenya situation of concern (SOC). Our aim is to measure how community members interact with and assess information – including rumours – with the final outcome of changing people’s attitudes towards rumours spreading in the Tana Delta.